I was raised in Hawaii “during hanabata days, when Chunky’s was da bes’ plate lunch in Moilili fo’ ono grindz.” Although I just dated myself tremendously with that statement, I’m guessing that most of our readers don’t even know what I just said, so I’m not too worried. The point is, as important as rice is to the culture of Japan, it is equally as important to our tiny state in the middle of the Pacific Ocean. 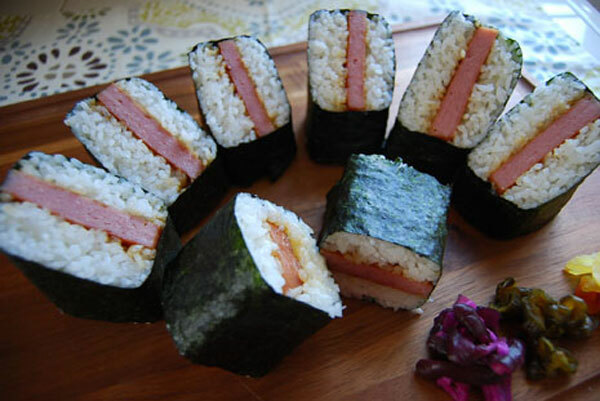 Probably the most famous Hawaiian variant of a Japanese rice dish is the classic Spam Musubi, the Hawaiian rice ball (more like a brick) made with SPAM®, rice and a sheet of nori (seaweed). There are 2 basic styles–with the slice of SPAM® on top of the rice and a strip of nori wrapped around its waist like a belt, or with the SPAM® slice buried in between two layers of rice and completely wrapped with a sheet of nori, leaving the ends exposed. SPAM® is the canned mystery meat that everyone loves in Hawaii. Introduced by the Hormel company in the 1930s, SPAM® became a popular wartime food for the military because it could be shipped easily without spoiling. Even after the war, the large military presence on the Islands made it a local favorite, and the Japanese-Americans there created the Spam Musubi, their own version of the traditional onigiri (rice ball). Today, you can make Spam Musubi with a rectangular rice press, designed to form perfectly shaped little bricks of rice. The SPAM® is sliced, pan fried and seasoned according to family recipes that add anything from teriyaki sauce to flavored rice sprinkles to pickled vegetables for extra zest. Earlier I mentioned the “plate lunch”, a unique meal most certainly native to Hawaii. With most plate lunches, there is an entree, macaroni salad as a side dish, and rice. What is distinctly Hawaiian, however, is that the rice is always served with an ice cream scoop, forming one or two balls of rice on your plate. “One or two scoops” of rice on a plate lunch essentially makes the difference between a small or large plate lunch. I believe the aesthetics of eating rice that’s been mashed into a perfectly round ball may not be to everyone’s liking, but hey, it works in Hawaii! Another local favorite is Fried Rice, which you may say, is just fried rice. But if you think about the thousands of different ways this simple dish is prepared all over the rice eating world, you’ll understand why “Hawaiian style” is unique to the 50th state. It almost always has bacon in it, if not Portuguese sausage or SPAM®, or all three if they happen to be around. This would truly be a deluxe version. If you added bits of the pink and white kamaboko (Japanese fish cake), you’d really be stylin’. On the other hand, if you’re a student on a budget or just out of ingredients around the house, you can make the “junk kine fried rice dat only get peas and carrots inside.” Rest assured, it will still taste great and be quite filling if you do it right. Rice is awesome, isn’t it? Even the haoles eat rice in Hawaii! Starting this month, I’d like to share my shot of my Zojirushi Vacuum Bottle, out in its natural environment in the great outdoors and not stuck in my kitchen cupboard. Can you guess where I took it? Let me know! Shhh! When your favorite grain isn’t being served steaming hot in a bowl or wrapped snugly in a sheet of nori, this modest staple can be found in places you might not expect, secretly turning water into wine! Sake is no secret, but did you know about Rice Beer? 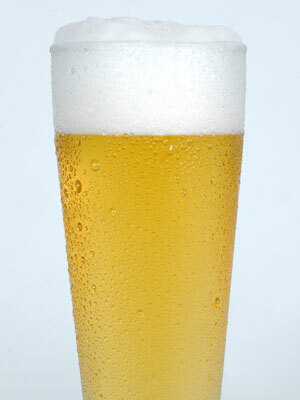 More than 15% of all the rice produced locally in the U.S. is used to brew beer. When first generation German-American immigrants like Adolphus Busch, Adolph Coors and Frederick Miller built the American beer industry in the late 19th century, they were searching for ways to adjust their beers to the American palate. We were not ready for the heavy, full-flavored malt taste that was the trademark of the European beer; we preferred a lighter, crisper brew, and ingredients like rice and corn were perfect for the recipe. Today, even the aficionados at the craft breweries are embracing the use of rice as a way to achieve that delicate balance of lightening the body and cutting down some of the maltiness of lager. Rice is widely recognized as the key to producing complex, full-flavored beers that can have a subtle fruitiness and a bright finish. Still more on rice drinks–with all the alternatives to cow’s milk available today, the one that I like is made from rice. Rice Milk is advantageous for what it doesn’t contain; no cholesterol and saturated fats, no lactose for the lactose intolerant. Allergies to rice are rare, making this milk one of the safest alternatives to animal milk. 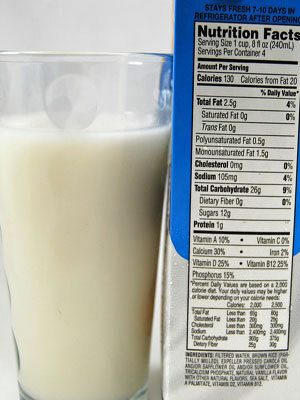 It is not a great source of protein and does have more calories per cup than almond or soy milk (about 113), but it is formulated to contain adequate levels of calcium, vitamin A and vitamin D. It is a milk that is very palatable and easy to drink, making it unnecessary to mask it with sweeteners, although these are also available. 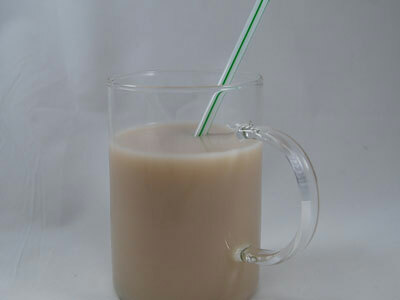 If you like sweet milk, there’s nothing better than Horchata, a traditional Latin American beverage that originated from Spain, made with rice. It’s really not a milk at all–it just resembles one because of the milky color which comes from the ground rice, nuts and seeds, sweetened with sugar and flavored with lime and cinnamon. As exotic as that sounds, Horchata can be found sold by street vendors in Mexico, and you can sample it at most Mexican restaurants. 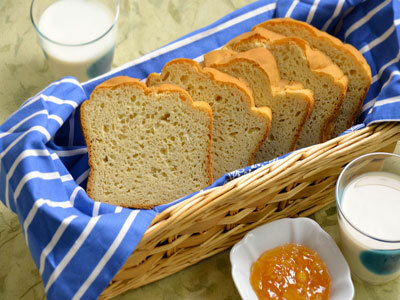 How about Rice Bread? Even though it sounds like 2 staples that don’t belong together, a lot of breads, cakes, pastas and even tortillas that are traditionally made from wheat are being made from rice flour these days. And since rice does not contain glutens, it’s a fantastic alternative for those with gluten allergies. Rice flour also has the advantage of being lower in calories than wheat, and is nutritionally better for you, especially if it’s made with brown rice. Breads made from rice flour tend to have a soft, springy texture that brings out the natural sweetness of the rice when you chew it. This texture and shape seem to hold up better when frozen or defrosted in a microwave, where wheat flour breads can become tough and shapeless when subjected to temperature changes. And jam for that bread? Yep, you guessed it–Rice Jam takes advantage of the distinct sweet flavor of the rice that occurs with a fermentation process, without the addition of any extra sugar. If you’ve tasted a Japanese sake called amazake, the flavor is very similar. Korea has also developed a Rice Jam, which is a lot healthier than regular jam because of the lower sugar content, resulting in a better taste for the real fruit in the jam. Who knew rice had so many secret identities? 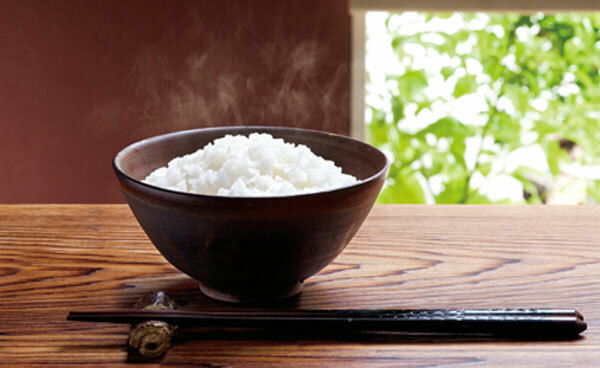 Long regarded as a “super food”, rice is more powerful than we know! Fall is the time to welcome transition. 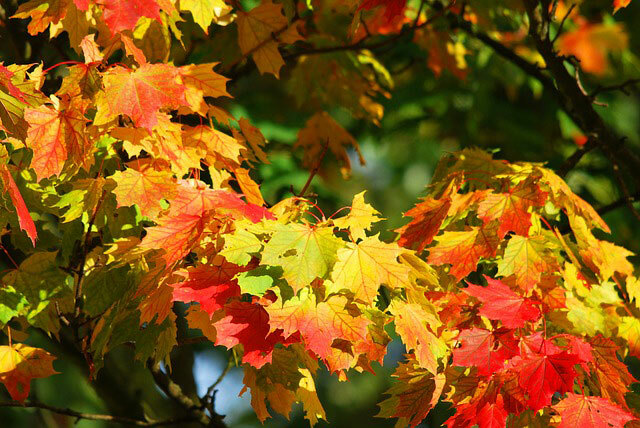 Shorter days, crisp evenings and busy back to school schedules all mark the natural changing of the season. Summer slips away as we pack boxed lunches and backpacks, while autumn brings the promise of apple pies and holiday gatherings. These days, the weather stays fairly warm through the beginning of September, and the long shadows of summer remain in the form of bright red tomatoes, sweet corn and juicy strawberries. At the same time we are met by acorn squash, cider apples and textured blackberries in the markets. Needless to say, it is a fantastic time to be in the kitchen! As the glow of summer begins to wane, busy schedules take over, football grabs our attention and another holiday season is hot on our heels. The multitude of fall activities can feel overwhelming as we pack them into shorter and colder days. Don’t let it stress you this fall! Welcome the change of pace with open arms, and know that with a little planning and the right equipment, you can shift into the season with ease. The abundance of fresh market produce available this time of year combined with our Zojirushi products and equipment should provide you with an arsenal of tools to stay organized and happy this fall season. Try making boxed lunches the night before; utilize leftovers to create hearty school time snacks. Embrace the farm to table mindset in the kitchen, utilize our Gourmet and Stainless products and you should have everything you need for an effortless fall season. As usual, we would love to hear how you stay grounded and well fed this autumn. Please keep us updated on Facebook and in the comments section below. You are our biggest inspiration! Happy Cooking! Can you imagine a flower that looks like a paper lantern? The physalis alkekengi is exactly that. 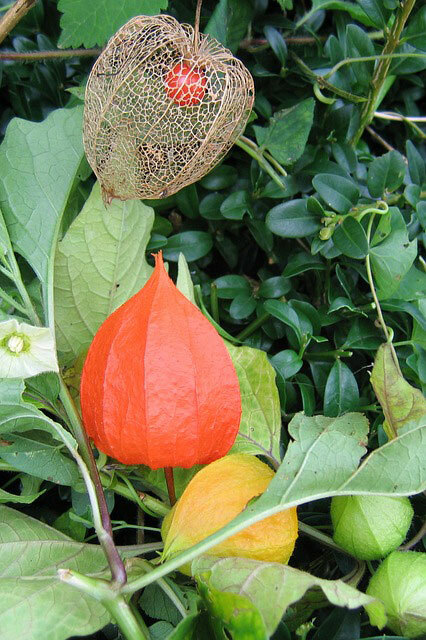 Also known as Japanese lantern, winter cherry or hozuki, this plant is as delicate looking as it sounds. Bright red fruit is covered by a Kyoto red papery covering that dries to a translucent white in the spring to reveal the fruit below. Though it’s not widely eaten, the winter cherry is known for its medicinal properties. It can be used as a diuretic, antiseptic and sedative in eastern medicine. The winter cherry has small amounts of poison that are not deadly, and can be quite bitter or unpleasant to the taste. Because this exquisite plant is so beautiful, it is often used for decoration. Though widely unknown in the states, this species grows far and wide from Europe to Asia and its wide-spreading root system makes cultivation easy. Yes, the winter cherry can grow like a weed! This plant has a lot of cultural significance in Japan. There is a deep symbolic meaning involved with the use of winter cherry seeds as an offering to souls during the Bon festival. There are many community marketplaces designated to this plant in July called hozuki-ichi. In a lot of ways the bright color, delicate nature and impermanence of the winter cherry embody Japanese culture. It’s no coincidence that it looks just like a lantern or a perfectly crafted piece of origami! If you have never seen a Bonsai, it is a beautiful and often asymmetrical tree grown in a tray and placed on a counter or table. They look like a miniature tree, and some are small enough to fit in the palm of your hand. Yes, it is just as cute as it sounds! Like most things uniquely Japanese, the bonsai traces its roots all the way back to the 6th Century in China. There is evidence of small Bonsais in art, stories and scrolls across the centuries and through the medieval period of Japan. After WWII the Bonsai gained popularity and availability across the US when US soldiers would bring them back as souveniers. A number of books, festivals and exhibitions made the Bonsai easy to access all over the world. It evolved from a novelty or souvenir to a trendy status symbol and suddenly a must have decoration by the 1970s. 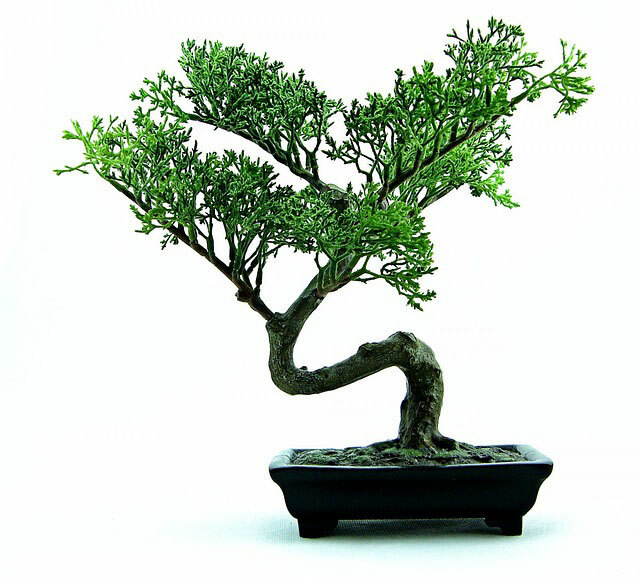 Highlighted in the 1984 film Karate Kid, the Bonsai has been depicted in a variety of ways in the western world. There has always been a spiritual significance to Bonsai trees that conveys deep symbolism for meditation, harmony and peace. The careful maintenance of a Bonsai tree helps the cultivator create order to their thoughts and creates a balance in life. These days, you can find Bonsai trees at most nurseries, farmers markets and even grocery stores. Their “Zen” and craftsmanship bring calm thoughts and bring peace to busy work offices and homes across America. With the Internet, you can browse through countless styles and prices to find a Bonsai that is right for you. It also makes a wonderful and unique living gift. Did we mention that bonsais are easy to care for and can be left in or out of doors? Yes, they are the perfect companion! Happy hunting! 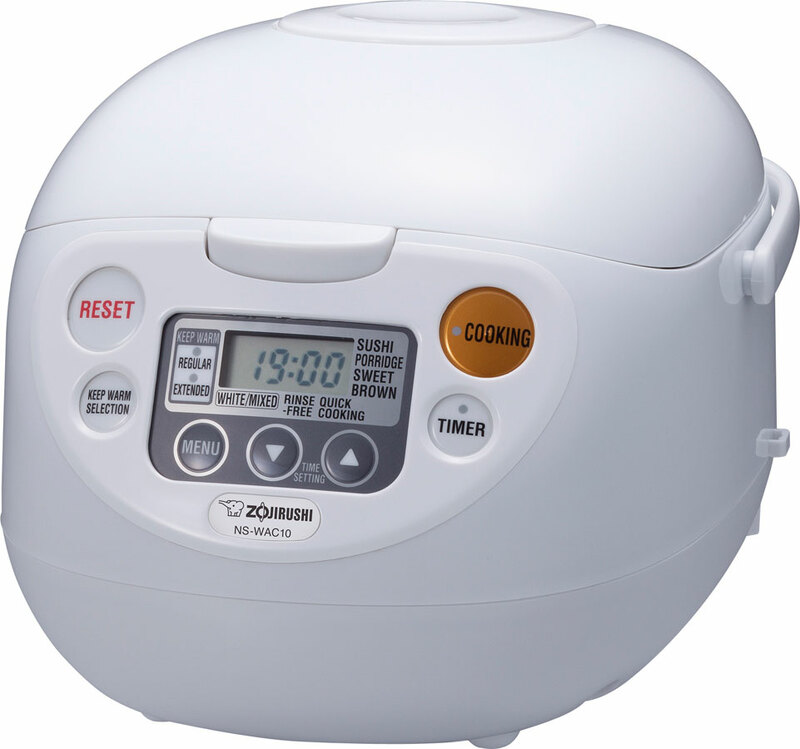 This September we would like to introduce our Micom Rice Cooker & Warmer NS-WAC as the Zojirushi Product of The Month. This is a must have for students going back to college this fall. Its size will perfectly fit in your apartment or dorm room. 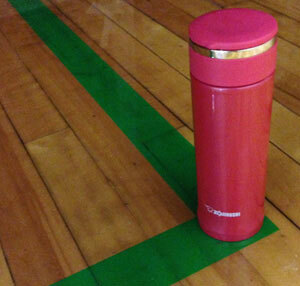 It is made with a very durable dent resistant plastic body and now comes in a new color, Cool White. This rice cooker is packed full with technology that allows the machine to “think” for itself making small adjustments in temperature to ensure perfectly cooked rice with every batch! The Micom Rice Cooker & Warmer NS-WAC is also easy to clean…because doing the dishes doesn’t always have a high position on a student’s social calendar.